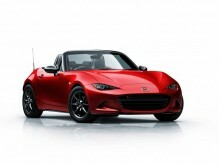 The 2015 SEMA Show in Las Vegas sees the debut of two design concepts based on the all-new Mazda MX-5. 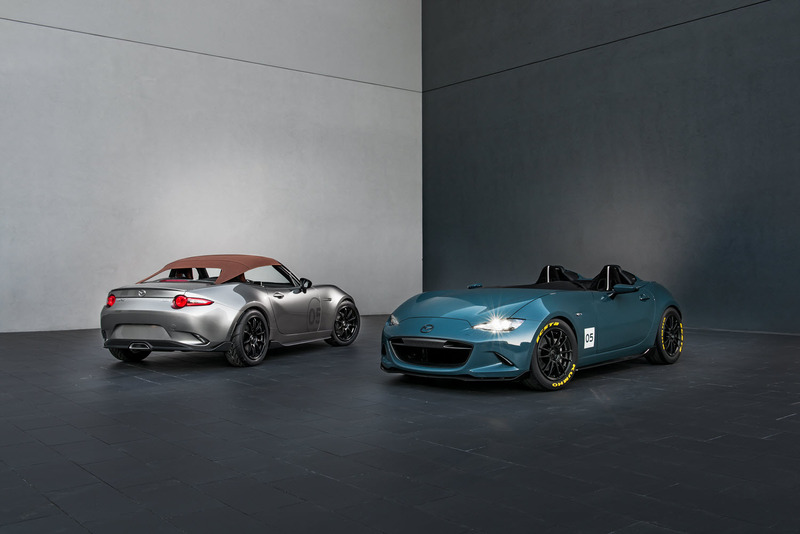 The MX-5 Spyder and MX-5 Speedster concepts take the MX-5’s lightweight fun-to-drive roadster doctrine a step further, reducing even more weight while accentuating open-air driving. 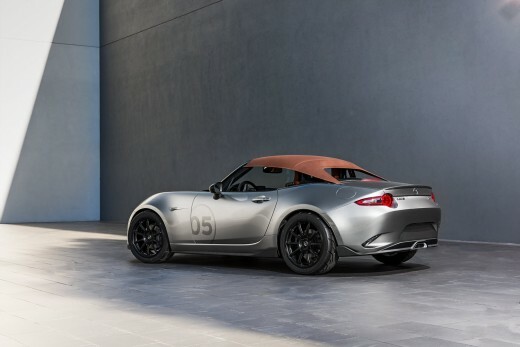 Designers drew inspiration from vintage roadsters. 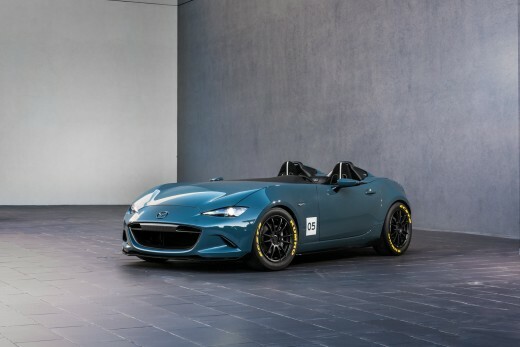 The MX-5 Spyder features a bikini top, Mercury Silver exterior, carbon fibre aero kit, grille intake, lightweight 17-inch Yokohama ADVAN Racing RS II wheels and a Spinneybeck PRIMA natural full-grain leather interior. 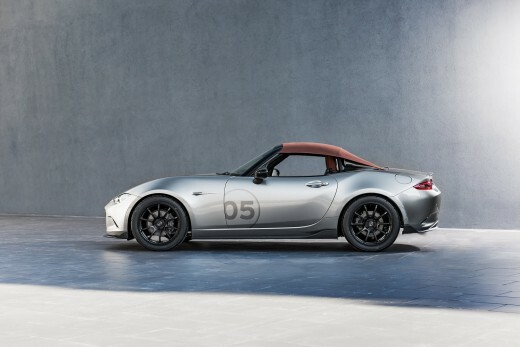 The MX-5 Speedster, meanwhile, pares the roadster back to the bare essentials – it even has a deflector in place of the windscreen – for an old school wind-in-the-hair sports car experience. 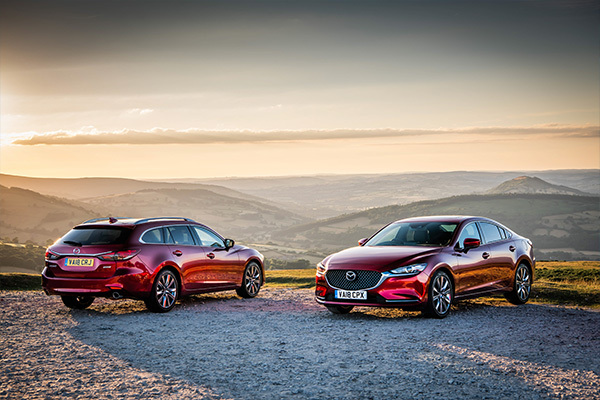 Mazda took its weight-cutting passion to extremes with for example carbon fibre doors and seats as well as custom 16-inch RAYS 57 Extreme Gram Lights wheels. 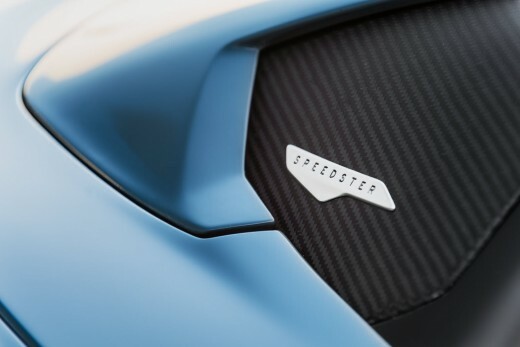 The Speedster tips the scales at only 943kg, and is also 30mm lower than the production MX-5 thanks to an adjustable coilover suspension. 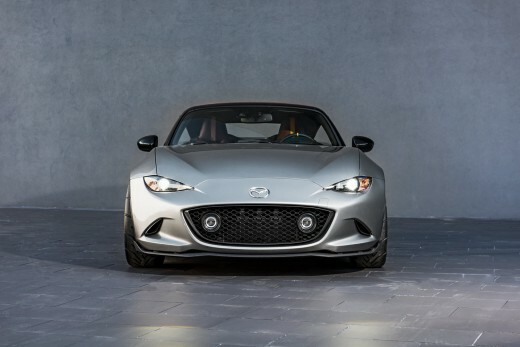 The MX-5 Spyder and MX-5 Speedster are on display at Mazda’s stand in the North Hall of the Las Vegas Convention Centre. The SEMA Show is an annual trade event for automobile aftermarket specialty products organised by the Specialty Equipment Market Association. 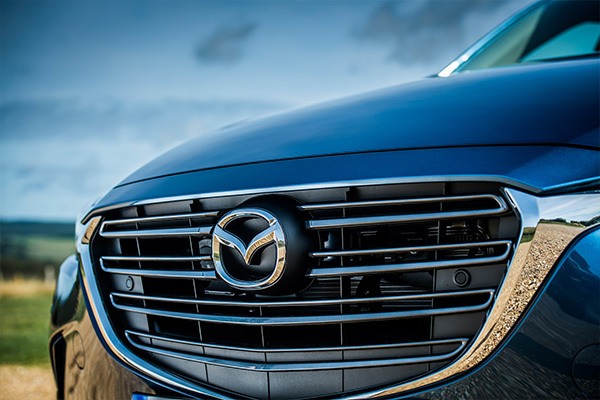 The 2015 event runs until the 6th November.